We audiophiles are used to rapidly-changing catalogues: it seems HiFi Companies can't stop designing new (really???) products each and every year. As soon as you have spent your hard-earned cash on the latest HiFi component, in less than one year it might become obsolete because the new mkII flavour of the month gets released. We believe there are no serious technical reasons for such a rapid turnover. Marketing rules, we've been told, suggest to behave this way. Even our website style, always the same - except minor changes - since day one or so, screams obsolete to modern audiophiles. We believe that content matters, first of all. The same approach seems to be shared by a - dare I say that - alternative HiFi Company, Trenner & Friedl. 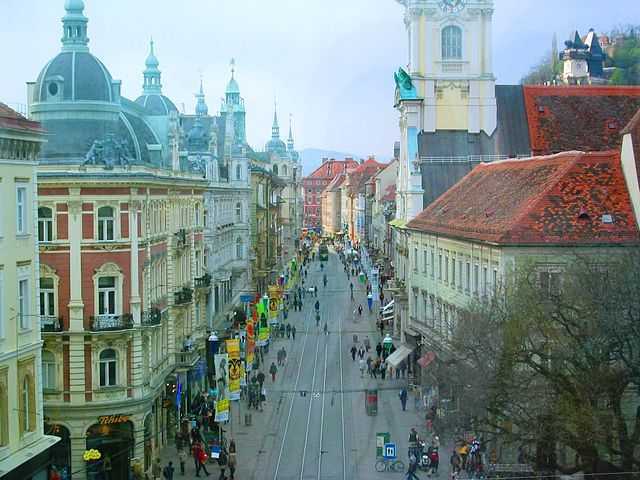 Established in 1994 and located in Graz, Austria, the Company is managed by Andreas Friedl and Peter Trenner, two guys who seem to have an uncommon approach to HiFi design and marketing. Instead of releasing new products year after year, they build few models (loudspeakers, that's what they do) and slowly improve them only when it is really needed. Unlike many competitors, instead of moving facilities and production to the Far East, they still build everything at home. This, of course, has a strong effect on final prices, which are definitely not budget-class. You can learn more about the Trenner & Friedl philosophy reading an interview with Andreas Friedl, just published here on TNT-Audio. 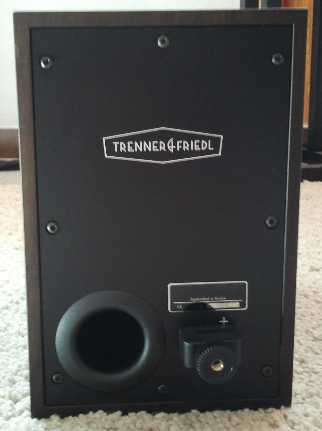 The Trenner and Friedl ART is a compact-sized two-way bass reflex loudspeaker. Its name comes from the saxophonist Art Pepper, and each of the seven T&F loudspeakers is named after a famous musician (Duke, Ella, Dizzy etc.). The ART has several unique features. First of all its cabinet is sized following golden ratio proportions, something that seems to be hidden in the universal concept of natural beauty. Another HiFi manufacturer that uses golden ratio is George Cardas, see for example our interview with him about the relation between this magic number and Cardas cables. You shouldn't be surprised to find Cardas internal wiring inside the ART! The cabinet, besides being golden ratio sized, is extremely stiff, being built using special manufactured sandwich panels. The front panel is made of a special Corian©/MDF sandwich, polished by hand. The crossover is handcrafted by Mundorf Germany, using only high grade components. The tweeter seems a classical Scanspeak R2604/832000 ring-radiator unit while the 5" aluminium phase-plug midwoofer appears to be the H1207-08 L12RCY/P model from Seas Prestige series. Unfortunately T&F don't release infos on the drivers. In the rear you can find the reflex port and the Cardas Patented monowiring binding posts. These speakers are available worldwide thanks to a quite large network of official dealers. I've never been a big fan of compact bookshelf loudspeakers. They force you to use expensive stands and normally lack sensitivity, bass frequency extension and slam. At 3,000 €/pair, these ARTs had to be something very special to justify their steep selling price. For the same money you can purchase a mid-class tower loudspeaker, for example. For a pure coincidence I had just received a very similar pair of bookshelf loudspeakers, same size, same woofer diameter...just 10 times (read: 10 times) less expensive. 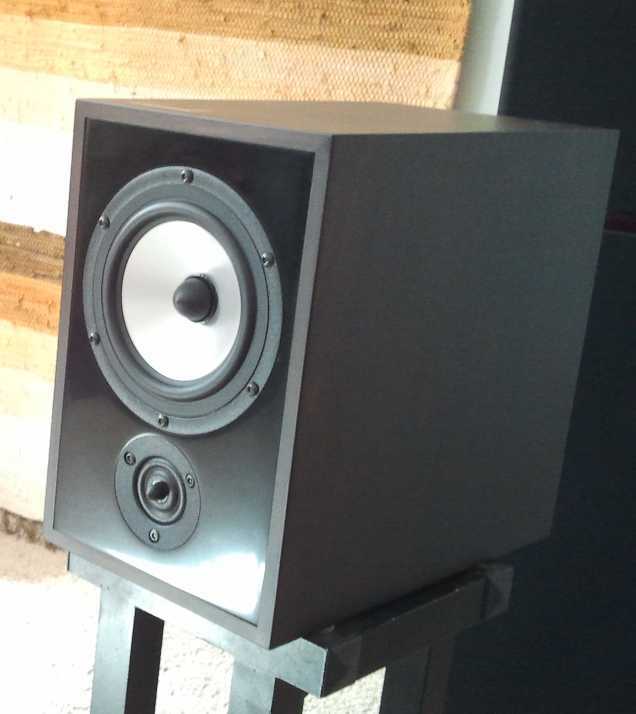 Yes, I'm talking about a 300€/pair similar loudspeaker. I couldn't resist to evaluate the 10X difference factor! More on this later. Initially I put the Arts on very stiff aluminium speaker stands and gave them a lot of time to break in properly. After a week or so I decided it was time to sit in front of them. And I was blown away! Oh yes, I'm no fan of mini-monitors but these babies ARE something really different! 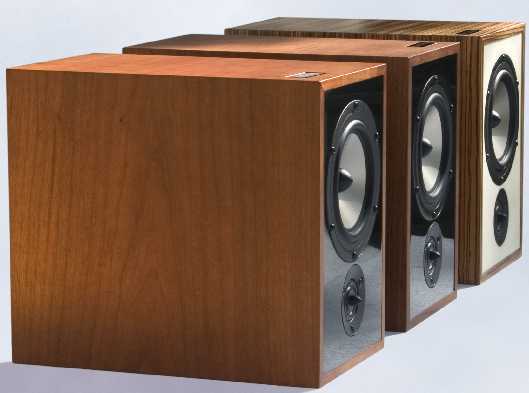 First of all, they effortlessly generate a BIG sound, something you'd never expect from such diminutive cabinets. The bass performance is impressive, to say the least. The 44 Hz point at -6dB is no bold claim, actually: watch the small woofer dancing inside and outside the cabinet and FEEL the room filling with strong, deep and extremely articulated bass. No, you won't hear the lowest double-bass or organ notes but you will never really complain about that, considering what they can do with the rest of the bass range. Even at high listening levels the bass remains clean, tight and fast. Not overblown nor dry: just damn RIGHT. CLEAN is the adjective that comes to mind when listening to these loudspeakers: extremely transparent without being over-detailed, they let the music flow effortlessly. Quite surprisingly, you don't need audiophile-grade recordings to make these babies shine: for example they have impressively played So lonely and Roxanne from Police's "Outlandos d'Amour". Not easy tracks, indeed, but these ARTs float around notes and rhythm like it was the easiest thing to do. I've heard bigger loudspeakers experiencing hard time with these tracks. General tonal balance appears to be on the neutral side, perhaps even slightly warm (in my listening room, at least, which is rather warm-sounding). Voices sound clean and detailed (for example Marla Glen's smoky timbre is just perfect) and even big choirs seem not to lack clarity or weight. As it happens with good loudspeakers, it is extremely easy to follow single parts of the music you're listening to, without being distracted by the rest, no matter how complicated the pattern might be. A kind of "monitor" attitude, without the in your face character sometimes monitors possess. Overall, there's one aspect that shocked me and it is their extremely low distortion levels. Certainly the drivers and the crossover play a role but in my opinion is the absence of cabinet colouration that makes the difference. Music appears simple, direct and natural like the real thing. A 5" midwoofer in a small cabinet can be impressive but it can't exceed the laws of physics. The low sensitivity (85 dB claimed, but it seems lower to me) makes a high quantity of watts strictly necessary. Yes, you can play these speakers at high listening levels but watch out for the woofer physical limits! Within their limits, sound appears to be dynamic, with a extremely precise reproduction of attacks and decays. Again, it seems the cabinet plays a relevant role here, since it doesn't add noises of its own. Do not think these speakers are best suited for jazz or classical music. I've played anything, even at high SPLs, and they reacted maintaining their character, avoiding to scream or to produce a thin, compressed sound. Rock, trip-hop, rap...you name it, it seems always an easy task for them. Listening fatigue? Virtually unknown. Not surprisingly, considering compact size and cabinet rigidity, these speakers produce a very large 3D virtual image that extends way beyond their physical limits. Despite the tweeter being placed below the woofer (and hence is lower than usual) the height of the image is impressive and so is its depth. I've tried different positions (even flipping the speakers upside-down) but the best results in terms of soundstage have been achieved with the speakers quite far one from the other and with a minimal amount of toe-in. It might be different in your listening room, so feel free to experiment...but the final result must be that of a huge soundstage, with several horizontal planes and a very good focus. If you don't succeed, your system or listening room are limiting factors for these speakers' huge potential. Of course, as it happens with the best designs, the sound doesn't come from the speakers but from the space that surrounds them. Amazingly. Installation isn't too troublesome: just give them enough air and good speakers stands, the rest will be achieved by patient sessions of trials and errors. If you want more bass output, you can place them closer to the rear wall but I wouldn't recommend it: clarity and articulation will be heavily affected. The speakers come in matched pairs, in the sense there's a right and left speaker. Try reversing them to evaluate differences into your listening room. Break-in, as usual, is necessary, as the small woofer needs some work-out before playing at its best. With respect to amplifier choice let me suggest something powerful (<85 dB sensitivity and 4.2 Ohms of impedance minimum might be a treat) and transparent. It would be a pity to ruin these babies with a wooly, slow and lazy amplifier. I'd avoid tubes, generally, while powerful, good sounding Class D designs might be a wise choice. Your mileage may vary, of course. At 3,000 €/pair the only thing I can complain of is...their price! Manufacturing and finish are top-class, without doubt! My test samples came without dust grilles, I assume these are not available. The Cardas binding posts can accept bare wire and spades and some kind of bananas. Someone might find using bananas a bit trickier than usual. Apart from the logical bass extension, limited at 50 Hz or so, there are few things I can write against these speakers. And I can't imagine someone who doesn't like their sound. Perhaps there are similar sized speakers with more bass output but clarity and articulation at these levels are hard to match. The speaker I used for a quick comparison (the Koda K-5400T, just reviewed here on TNT-Audio) had a slightly more powerful bass output, matched to a deeper extension. But that was all. The ART won hands down in every parameter, bass quality included. Logical, you'd say, it costs 10 times as much! Yes, but things in HiFi aren't always so logical. What about quality/price ratio then? Well, these babies are expensive, very expensive. But they do sound damn good. I've asked my daughter Silvia to compare these to the 300€ speakers cited above. She didn't know which one was the 3000€ jewel or the 300€ toy (remember: similar size, very similar woofer etc.). She surprised me finding all the weak spots of the inexpensive speaker (and she hasn't a trained ear!) and when I revelaed the price difference she said Yes, but these ones sound way better! Is it worth the 10X price difference? Hard to tell, it all depends on priorities but trust me when I say I could easily live with these ARTs even without a big floorstanding loudspeaker to plug in from time to time. Yes, they are expensive, but if your room isn't too large and your system is capable of making them sing...it will be hard to find something really better at reasonable prices, regardless of size. In the past two other bookshelf loudspeakers made my heart beat fast, the Diapason Micra II and the Merlin TSM. Well, actually the Micra's were much smaller and the Merlin's slightly bigger. In terms of character, these ART's are much closer to the Micra's than to the Merlin's. They possess almost the same tonal balance of the Diapason little babies, while the Merlin's have a much stronger monitor attitude: more analytical, the TSM's work like a magnifying lens. Not so the ART's, which are precise and detailed but much more forgiving. Did I like these speakers? You bet! More, much more than I expected, considering my idiosyncrasy for compact bookshelf loudspeakers. In few words...I could happily live with them. Are they expensive? Yes, definitely. Too expensive? Maybe. But this seems to be the price to pay for such a good, natural, clean and effortless sound. Hard to admit but...these babies might change your mind about minimonitors. Even more, they can turn your world upside-down, like their inverted drivers design! If interested, read our interview with Andreas Friedl, just published here on TNT-Audio.